This week our WP RSS Aggregator plugin has reached an important milestone. Version 4.0 of this RSS import plugin was released on Monday. WP RSS Aggregator now has more than 68,000 downloads on the WordPress.org repository, and we’ve seen a steady increase of customers who gain extra functionality through the premium add-ons. To enter with a chance to win a license, all we need from you is to tell us how you would use the plugin. 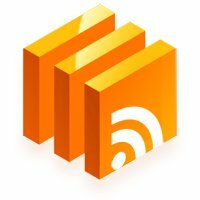 What is your dream project that can only be made reality with an RSS import plugin such as WP RSS Aggregator. In particular, what attracts you the most in our plugin? I actually just signed a client that needs this as part of their feature requests. They wan to pull content from various vendors they have. I have a lot of content I want to share on my blog, but I don’t always have time to share it all. I’m using WP RSS Aggregator in particular to schedule weekly posts about new Japan-related podcasts. From there, I want to expand it to include other kinds of Japan-related feeds, like new products added to certain sites or new videos added to YouTube. That way I have fresh, relevant content on my blog that’s helpful to my readers and keeps the site active! Thank you so much for this plugin and for the chance to enter this giveaway. I am willing to use it to import tutorials from various sources and create a tutorial site. Honestly, not sure yet. But I have a BIG mouth and when I like something, revenue follows. Well…#Duh 🙂 I’d like to aggregate a “Best of WordPress” site. Actually a couple of them (e.g., themes, plugins, development / coding, etc. ), maybe more. If you have an affiliate program then I have some banner space. Wink. Wink. Nudge. Nudge. I also have a couple clients who might be interested in similar but for other target markets / topics. I’m putting together a project that would highlight articles relevant to using online solutions in educational environments. This plugin would be really useful for it. Thanks for your writing and contributing to the WP community! Keep it up! I recently built a website for a small car drivers’ association and i struggled with an RSS feed of their umbrella organisations which is misbehaving and is not standards compliant. I had a look at the plugins features and my hope was that it would help me with the situation. I’ve had a dream for a long time about making a site that aggregate news about my favorite sports club. I have seen a couple of sites that does a pretty good job at this, but not exactly the way I want. Ultimately I’d like to make an app out of it, that would be awesome! It would allow me to better organize the feeds currently coming into at least one of my sites. Thank you Jean for such giveaway! I tried WP RSS aggregator for one of my websites which is written in foreign language for small community in US. They’re pretty exciting when browsing and reading news, articles on my website. Over the time, it’s quite hard for me to find time writing a lot of posts for them. Using WP RSS Aggregator, I can now present more news and articles for my readers. I wish I win “Simple Feeds Bundle” because it will definitely help my website visitors (most of them are seniors) with more news categories and displaying thumbnails, excerpts from news feeds by other writers. Currently I use FeedWordPress for a site I run that lists all the RV parks in the US. To get content about the local area, I ask bloggers if they want their content featured on my site. FeedWordPress does what I want, but I am a little skeptical about how long it will be maintained. I would love to give your plugin a shot as I expect you will be maintaining it for he future. Previous Entry: Should You Attend Affiliate Summit?